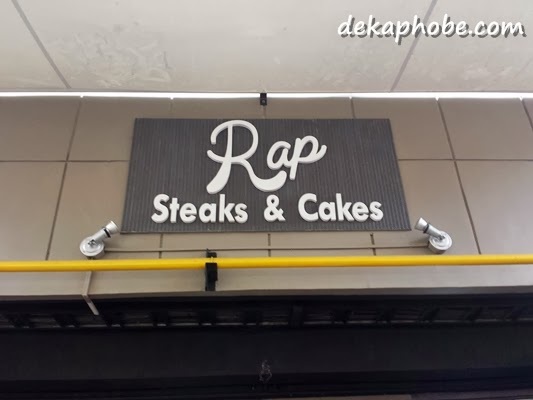 My colleagues have frequented this humble steak place in Ortigas Home Depot named RAP Steaks and Cakes. It has made me curious for months, so I finally gave in and dragged my teammates there for some protein fix. 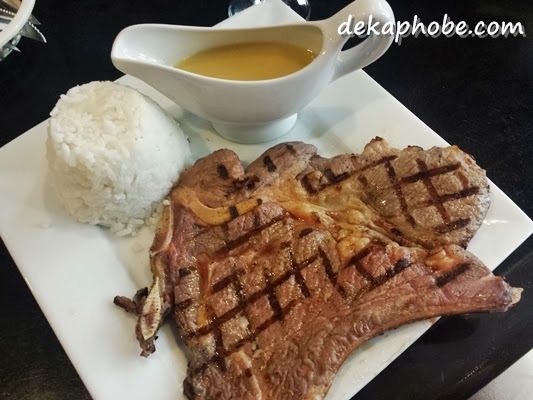 We settled with the T-Bone (Php 189, 330 grams). A teammate asked his steak to be well-done while some of us had it medium rare. What was supposed to be a medium rare was a bit rare. 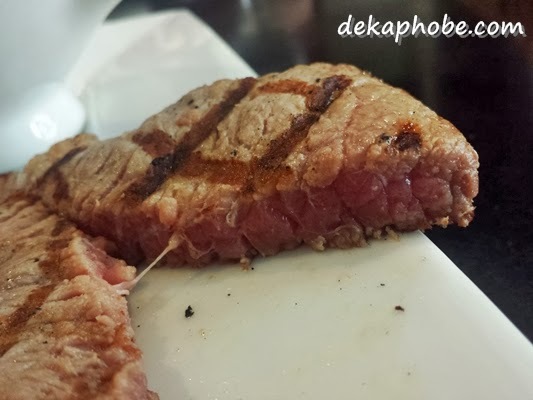 It was really tough slicing through my steak, it came to a point that I asked the server if they have some shears because I couldn't eat my steak well. It also didn't help that the steak is on a plate, this wouldn't be a problem if a.) the steak is more tender, b.) it was served on a sizzling plate or wood. c.) the steak was cooked well. Did I also mention that it tasted like charcoal than meat? Not even halfway through my lunch (but my plate was already a complete mess trying to slice the damn steak), I gave up and asked the server to wrap the meat instead. I have already lost my appetite that not even the signature gravy can save it. My workmate took home the leftover steaks and turned it to a steak adobo. 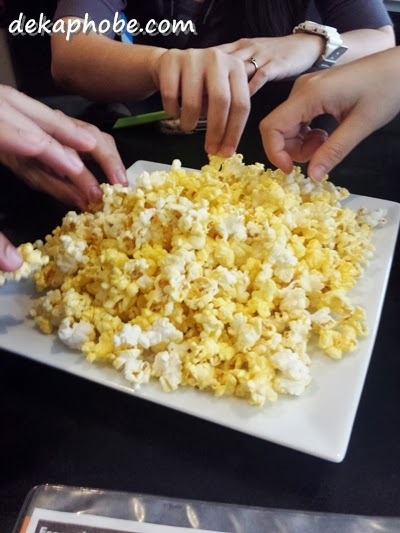 It was just fortunate that one of us ordered popcorn beforehand. She was lucky she doesn't eat red meat, that she didn't suffer the same fate with her lunch. My saving grace? the Korean ice cream in the convenience store a few steps from the resto. Unfortunately, this is not birth pains because the place has been there for months (or years).